1935 3d, bilingual roto, deep blue and blue, watermark inverted. 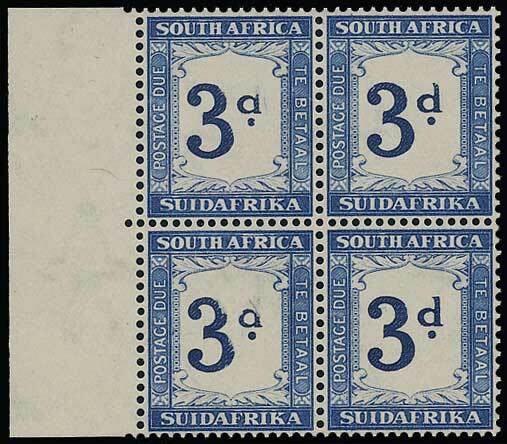 Left marginal block of four both left stamps showing partially missing '3d'. Superb unmounted. Uncommon. SG D28 and vars.